Clearwater Breeze Air Conditioning is a premier cooling and heating company in Florida. From helping customers choose the right HVAC unit to installing and maintaining it, we provide affordable solutions for both residential and commercial customers. We set the standards for excellence in HVAC services in Florida and take pride in the work we do. If you need HVAC services in the Clearwater, FL area, don’t wait – call us today (727) 386-7270. We offer speedy services and are available 24/7 for HVAC emergencies. Choosing a HVAC System — Don’t Do It Alone! One of the biggest mistakes that homeowners make with HVAC installation is trying to decide on a HVAC system themselves. 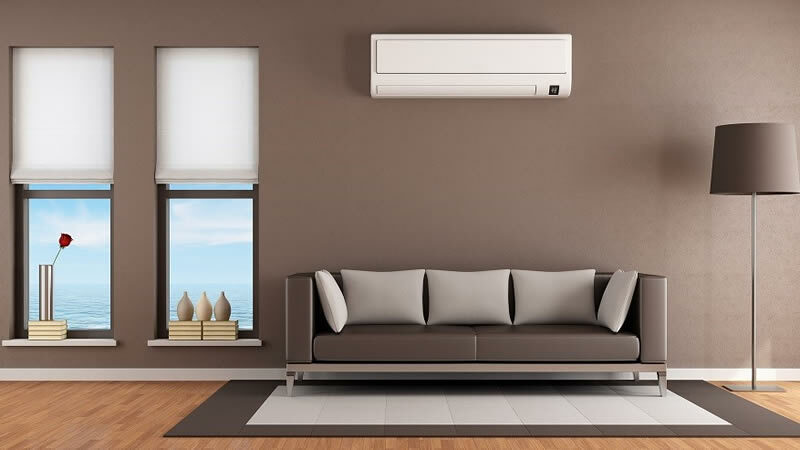 There are simply too many variables to consider with HVAC systems and getting any one of them wrong could leave you with an inefficient system. Clearwater Breeze Air Conditioning will perform an energy analysis for your home and present you with the best heating and cooling systems. We take the time to explain each option clearly and the features you might want so you can feel empowered to make the right decision. Our NATE-trained technicians are leaders in the industry when it comes to HVAC installation services. We provide comprehensive services, including energy assessments, to make sure you are getting the right HVAC system for your needs. Each job is looked at individually with careful attention to details like duct design so you don’t experience problems or pay more than necessary for heating and cooling. If you have an older home with a HVAC system already in place, then chances are you pay more for heating and cooling than necessary. Our technicians can help assess your HVAC system and make recommendations for upgrades, such as rerouting ducts, replacing your furnace, or switching to a new type of HVAC system for improved efficiency. This investment can quickly pay off with lower utility bills. HVAC maintenance should be considered an investment which will pay off in four major ways: 1) by prolonging the life of your HVAC system, 2) preventing costly repair problems, 3) saving you money by improving the efficiency of your system and 4) improving the quality of your air. We understand that HVAC maintenance is not something that most homeowners want to think about or pay for, which is why we strive to make services as easy and affordable as possible. All preventative maintenance HVAC plans are custom tailored to your needs. During the maintenance visits, our HVAC technicians can perform services like energy diagnoses, duct cleaning, filter changing, and general inspection. When your HVAC system goes kaput in the midst of a heat wave, it is a serious problem! Don’t suffer the discomfort or risk overheating. We are available 24/7 for emergency HVAC repair services. Our technicians can repair all major makes and models of HVAC systems and we even come with common replacement parts in our vans. Why Choose Us for HVAC Services in Clearwater, FL? •	All Major Makes and Models of HVAC systems: We know it isn’t enough to offer one type of HVAC system! We are committed to choice and can service and install major makes and models of HVAC systems. •	Committed to Excellent Work: All of our technicians are licensed and certified heating and cooling experts who have undergone in-house training programs to ensure excellence. Even our dispatchers are knowledgeable of HVAC services so you get excellent service from the moment you call. •	Dedicated to Transparency: With fair prices on excellent work, we can afford to be honest about the cost of our services! We will never use underhanded tactics to trick you into paying more and only use the highest quality materials. We provide free estimates for HVAC services in Clearwater. Contact us today to learn more.